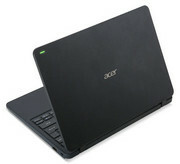 Acer's new TravelMate laptop is a new release by the Taiwanese company, which is solely designed with students in mind. This new notebook is made for ultra-portability, which is great in the education industry. The Windows 10 system is the first laptop made for classroom interaction with its new LED light on the outside. The computer is a very portable with a size of 11.6 inch and only 1.36 kg. It also has a HD camera and HD screen for crisp and clear viewing. However, it isn't just for students and classroom environment, as it can also be used in an office setting for meetings. The LED light on the back of the screen allows the teacher in schools or the person in the board room to see the LED light change and know without disruption that the student or board member has a question. The laptop features sleek black color and is very trendy. It also has space to store files. 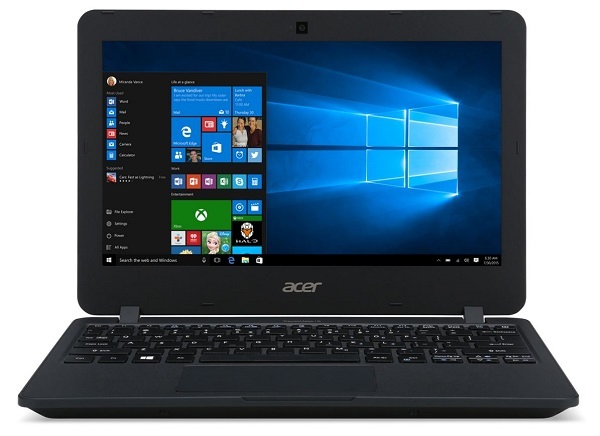 However, it is mostly designed for the cloud computing, where teachers can use Acer's TeachSmart to distribute assignments and material without actually needing to store the material on the laptop itself. All in all, Acer is trying to revolutionize the school-learning environment. Positive: Compact size; good price; decent hardware. Negative: Mediocre performance. Intel HD Graphics (Braswell): Integrated graphics card in the Intel Braswell series (Celeron and Pentium) processors. Based on the Broadwell architecture (Intel Gen8) supporting DirectX 11.2. Depending on the processor offers 12 or 16 shader cores (EU) and different clock speed.Intel HD Graphics 405 (Braswell): Integrated graphics card in the Intel Braswell series (2016 Pentium) processors. Based on the Broadwell architecture (Intel Gen8) supporting DirectX 11.2. Depending on the processor offers 16 shader cores (EU) and different clock speed.» Further information can be found in our Comparison of Mobile Graphics Cards and the corresponding Benchmark List. N3710: Notebook CPU with an integrated quad core Atom processor clocked at 1.1 - 2.56 GHz, an Intel HD Graphics 405 GPU and a dual channel DDR3L-1600 memory controller.